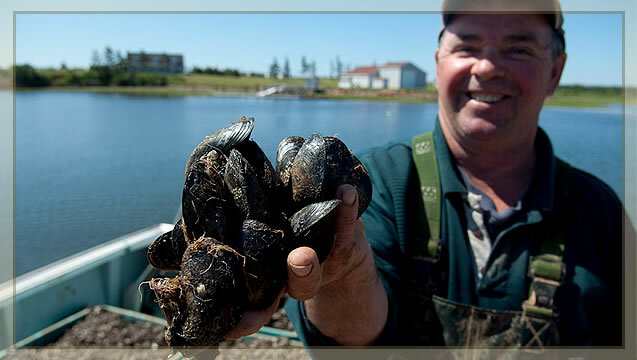 Prince Edward Aqua Farms is proud to provide world-class shellfish to major markets across North America, as well as to many retailers on Prince Edward Island. Having been part of the Island shellfish community since 1989, Prince Edward Aqua Farms has forged strong relationships with many experienced growers over the last 25 years to ensure top-quality shellfish is always available. Always packed fresh and full of flavour, shellfish is a nutritious and tasty delight, perfect for a meal or a snack. Pick some up and try them tonight! For more information on where Prince Edward Aqua Farms Island Gold blue mussels or other shellfish can be purchased, please contact our Sales Office at sales@peaqua.com or telephone (902) 886-2220.